H-1B visas are capped at 65,000 annually, with an additional 20,000 set aside for those with master’s degrees from U.S. colleges and universities. 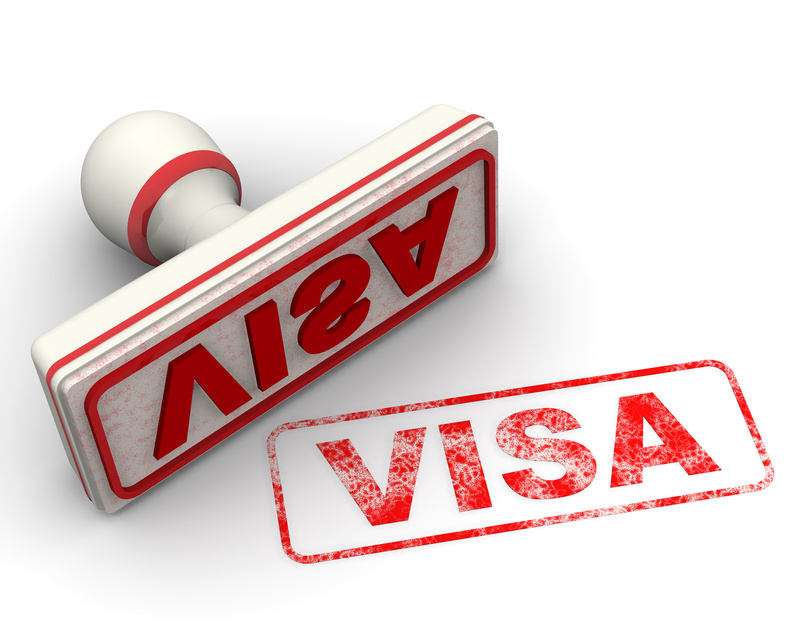 With the April 1st H-1B filing date rapidly approaching, and the uncertainty of knowing when the H-1B cap will be reached, now is a good time for employers to consider alternative visa categories for foreign nationals. L-1- This category is available to U.S. companies seeking to transfer employees working for its foreign subsidiaries or affiliates. The visa is limited to managers or executives (L-1A) or employees with “specialized knowledge” (L-1B) who will continue to be managers, executives or specialized knowledge employees in the U.S. The employee must have worked for the foreign subsidiary or affiliate for at least one year out of the past three years. F-1 –Students who have recently graduated from college or who have obtained advanced degrees can often obtain Optional Practical Training (OPT), which permits them to work for employers in positions directly related to their degree. OPT is usually available for 12 months, however, those with degrees in Science, Technology, Engineering and Math (STEM) can in some cases extend their OPT for an additional 17 months if the employer has enrolled in E-Verify. TN—Under the North American Free Trade Agreement (NAFTA), U.S. Employers can sponsor certain Canadian and Mexican citizens to work in the U.S. Available in three-year increments, the TN category is restricted to certain professions listed in the regulations, virtually all of which require bachelor’s degrees. TN work authorization can be renewed indefinitely, and unlike the H-1B category, there are no prevailing wage requirements. J-1—Employers may be able to bring individuals to the U.S. to participate in internship or training programs and gain experience for limited periods of time. Employers can file J-1 visa applications with certain U.S. State Department authorized sponsoring organizations. An employer must have a training program in place which cannot be used as a springboard for the trainee’s H-1B employment in the U.S. J-1 interns (college students or recent college graduates from institutions outside the U.S.) may be eligible for J-1 visas for a maximum of 12 months. J-1 trainees (those with experience outside the U.S,) can participate in J-1 programs for a maximum of 18 months. In some cases, the J-1 participant must return to his or her home country for two years after completing the J-1 program. H-3—Similar to a J-1, this visa is a training visa and may be used where training can’t be obtained in the individual’s home country and the majority of the training in the U.S. will not be hands-on. H-3 training is available for a maximum of two years, once approved by the U.S. Citizenship & Immigration Services (USCIS). E-3—Australian citizens can take advantage of this work category, which is similar to the H-1B in that it requires prospective employees to have a bachelor’s degree and be sponsored for a position that requires a bachelor’s degree. Unlike H-1Bs, employees can apply for work authorization and a visa simultaneously at U.S. consulates rather than having the employer file a petition with the USCIS. E-3 visas are granted in two-year increments and are renewable indefinitely. A maximum 10,500 E-3 visas are available each year; however, the cap is not generally met. B-1 in Lieu of H-1B—In some cases, foreign nationals can enter the U.S. on a B-1 business visitor’s visa and perform work that would ordinarily require an H-1B visa. These individuals must be coming to work in an H-1B caliber position and must continue to be employed by their foreign employers and paid by them. Foreign nationals must apply for these visas at the U.S. consulate overseas and they generally will not be granted for more than six months. O-1—The O-1 nonimmigrant visa is for the individual who possesses extraordinary ability in the sciences, arts, education, business, or athletics, or who has a demonstrated record of extraordinary achievement in the motion picture or television industry, and has been recognized nationally or internationally for those achievements. The initial O-1 visa is available for three years. Substantial documentation of extraordinary ability is required to obtain O-1 work authorization. E-1 and E-2-Treaty Trader (E-1) and Treaty Investor (E-2) visas are for citizens of countries with which the United States maintains treaties of commerce and navigation. Individuals in these categories must be coming to the United States to engage in substantial trade, including trade in services or technology between the United States and the treaty country, or to develop and direct the operations of an enterprise in which the individual has invested a substantial amount of capital. The visas are initially granted for two years and may be renewed indefinitely. Above are some of the alternatives an employer may consider when the H-1B cap is reached. For more information, please contact Minsky, McCormick & Hallagan, P.C.